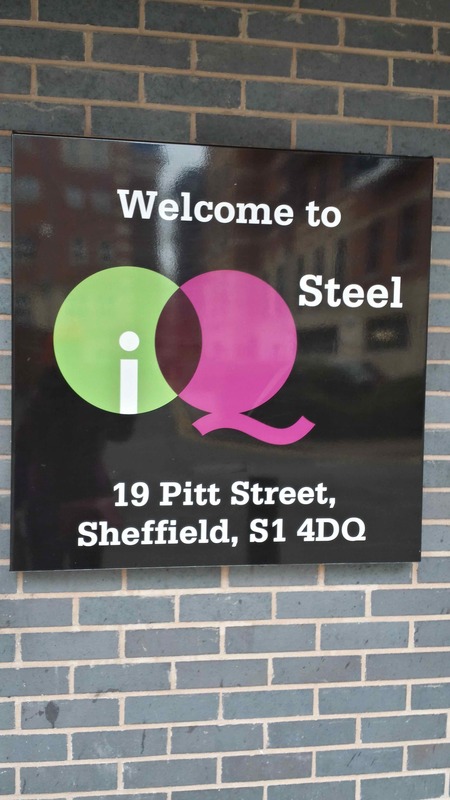 For my third participant observation exercise, I decided to photograph the places I could think of in Sheffield that referenced the city’s industrial past. 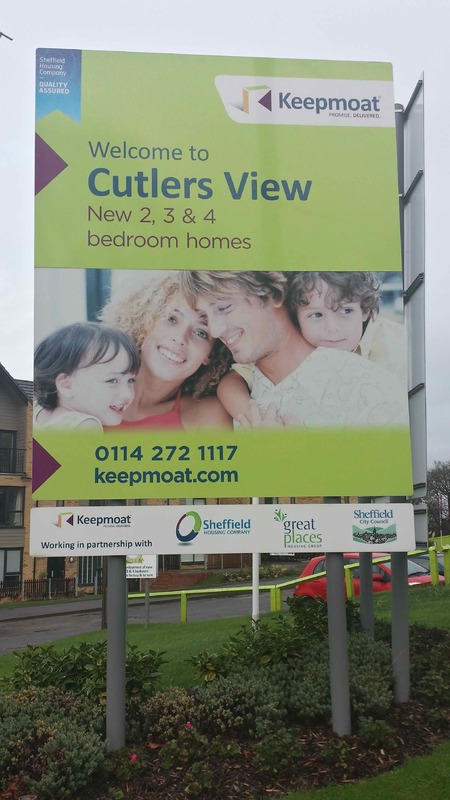 The reason for this was that one of my case studies – the dairy Our Cow Molly – frequently references the fact that it is ‘Made in Sheffield’, and I wondered how this location-specific identity might be important to other local people and businesses. 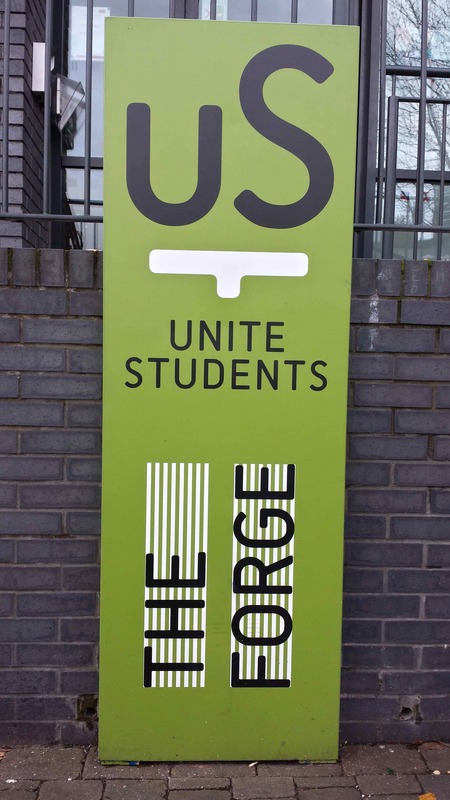 After just one day spent taking photographs on this theme, I realised that this legacy extends much further than I had realised. 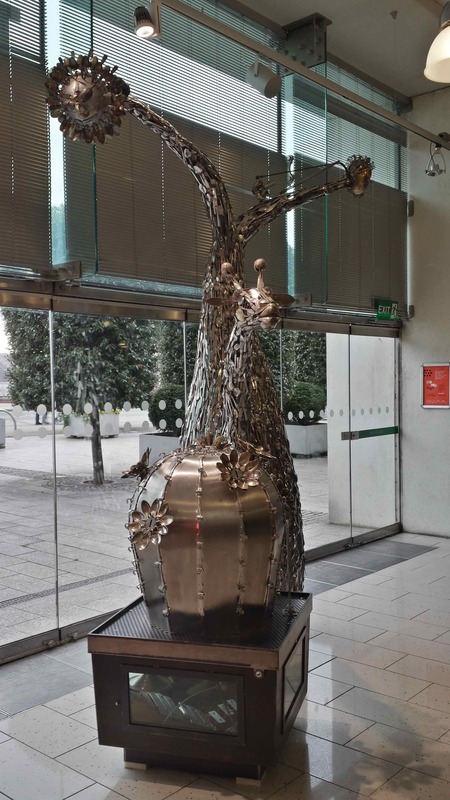 In my last two exercises, I discussed the use of photography in exploring the urban environment, and when engaging with the local countryside. In both cases, photographs enabled me to try a different way of looking and thinking about the environment. 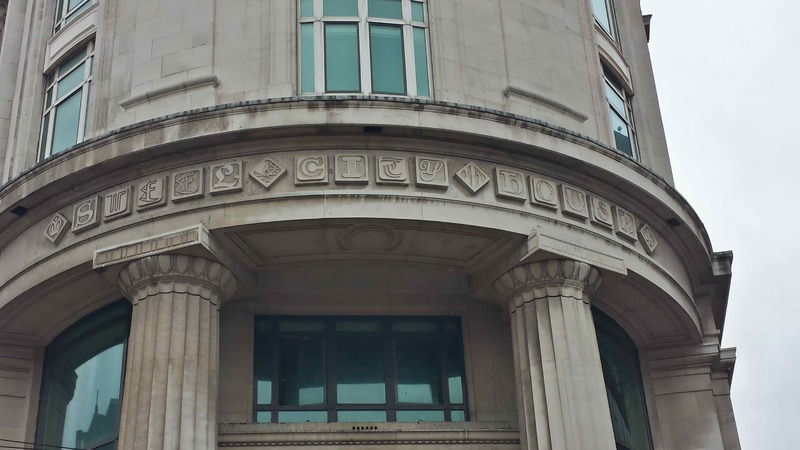 Similarly, in this third exercise, taking photographs meant that I was experiencing the city from a new standpoint, with a specific aim. 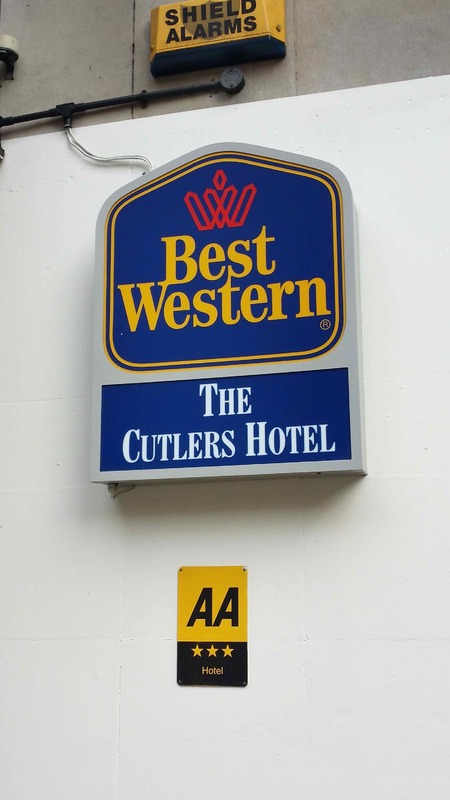 Although these images might not be quite so picturesque as those of the countryside, the fact that I chose to document a particular theme through photographs is significant, as this collection of images are eloquent in a way that a simple list of names would not have been. 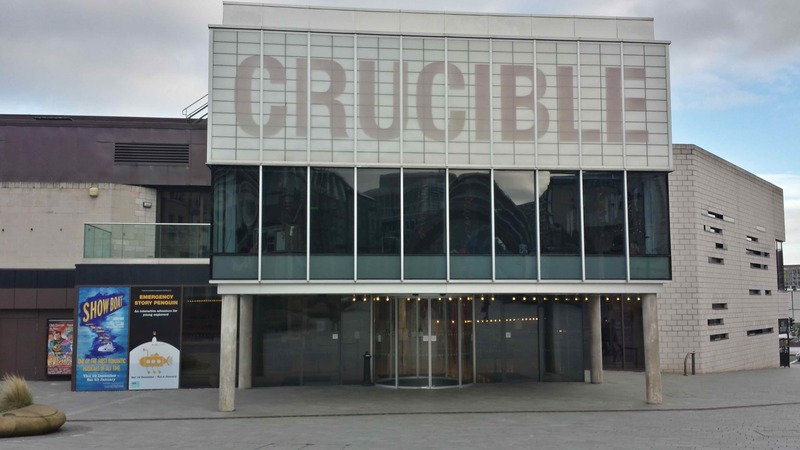 Here, we see that across a range of time periods and types of business, and varying architectural and design styles, the theme of Sheffield’s past still looms dominant. But perhaps most importantly, the task of photographing these places myself (rather than simply catalogue their names) meant that I had to go there and see them for myself. This involved going to parts of Sheffield I hadn’t been to before, as well as looking anew at places I knew well. 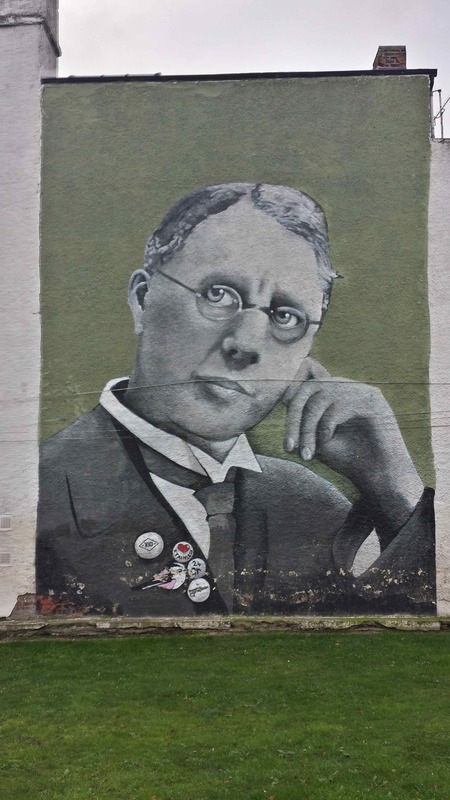 Taking pictures, therefore, was instrumental in a new way of looking at the city, both physically (by going there) and conceptually (by being aware of themes in the city’s self-image that I hadn’t appreciated before). 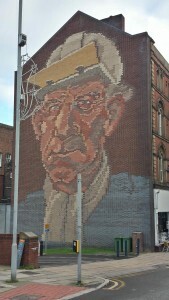 The following images are loosely grouped into themes, to show how the city’s heritage is referenced across a range of sectors. 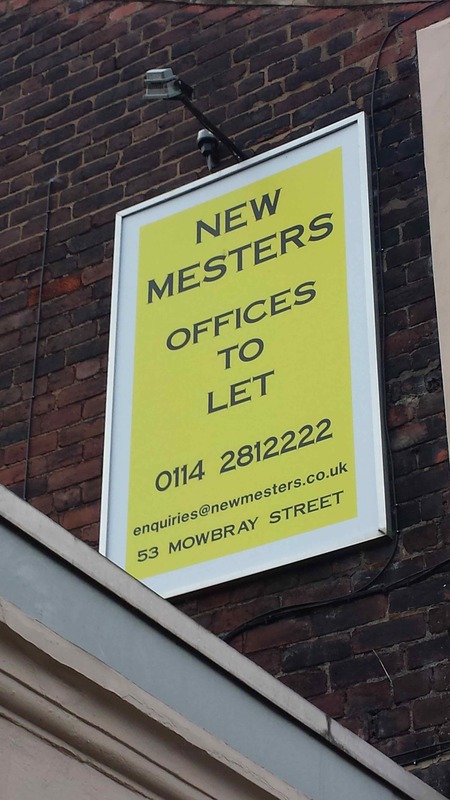 Offices: the image of the Steel City and of the Little Mesters (craftsmen with small, independent businesses) was referenced by office developments that were far removed from the dirt and noise of heavy industry. 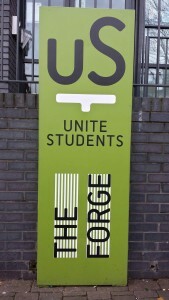 Students: the theme of Sheffield’s past was understood to be attractice to students, and potential students. 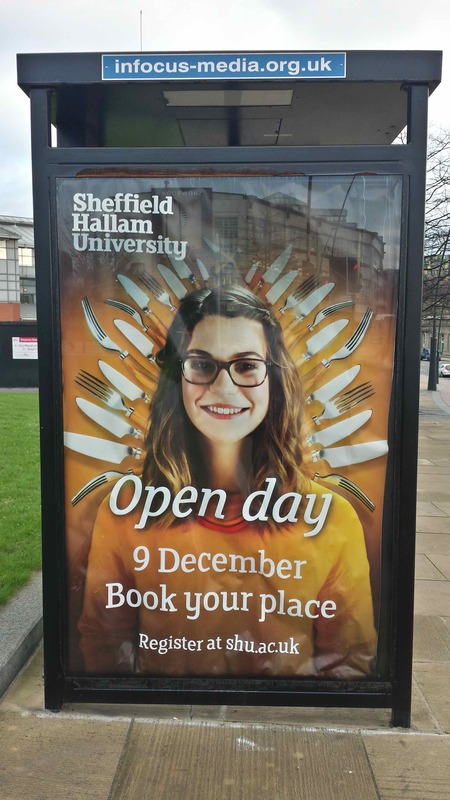 A Sheffield Hallam University advert even featured cutlery as a sort of shiny halo for one smiling student, presumably promising a bright future in tableware design. 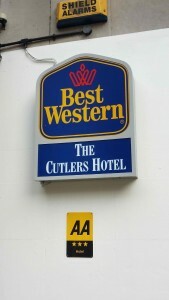 A city centre hotel names itself ‘The Cutlers’, referencing both the workmen and their influential guild that controlled the cutlery trade in the city. 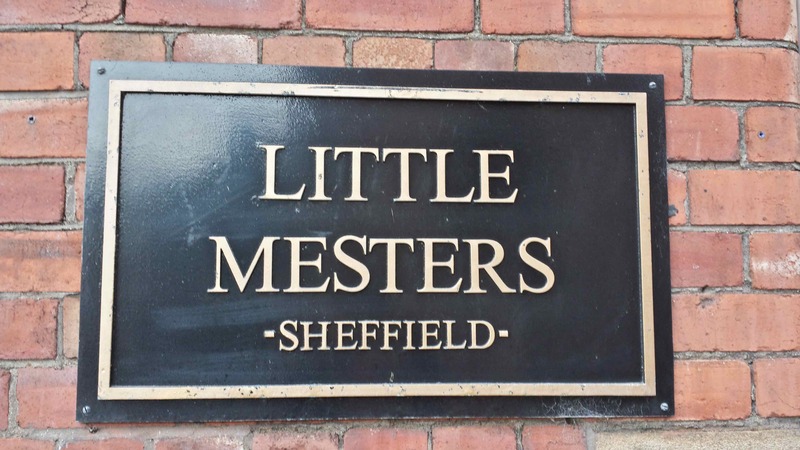 This link between cutlers and power is also invoked by a specific train running between Sheffield and London called ‘The Master Cutler’, which is typically associated with business travellers , as it departs early in the morning and is one of the fastest-running services. 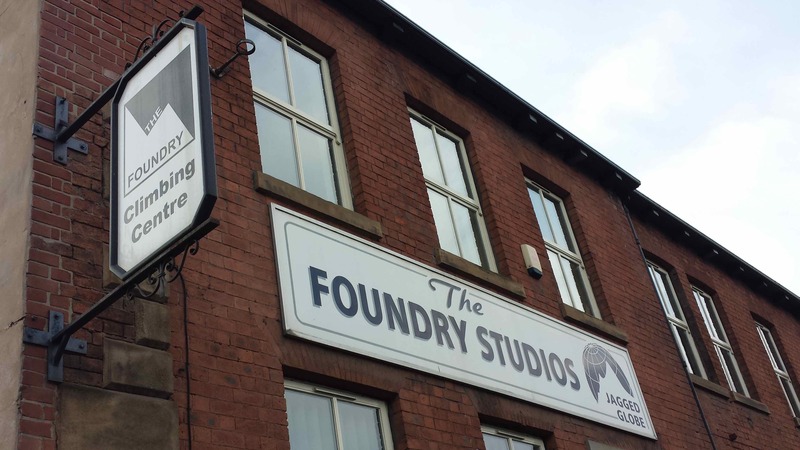 A climbing centre bears the name of ‘The Foundry’, a testament to the industry which once populated that particular area next to the River Don. Accommodation: Cutlers were again present in a new-build development (although it seems unlikely that there were any ‘in view’), and a new housing development calls itself the ‘Steel Works’ – both invoking a vague, absracted sense of history and tradition. 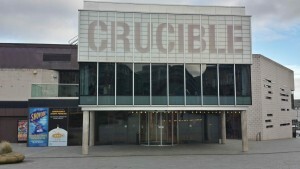 Council: The local council also references the city’s heritage when naming its facilities, such as the Ponds Forge sports centre, and the Crucible theatre. 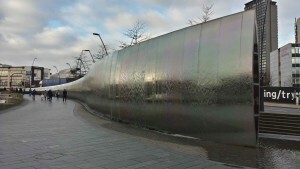 Art: I found numerous examples of public art that referenced Sheffield’s past. 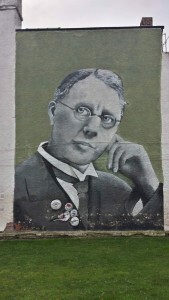 Large-scale wall murals featured Harry Brearley (the inventor of stainless steel) and a miner’s face. The curving sculpture outside Sheffield train station is called ‘The Blade’, and three statues of steelworkers stand outside Meadowhall shopping centre. Inside the Millennium Galleries stands a sculpture called ‘The Spoon Monster’, which is made from old Sheffield cutlery and flatware. 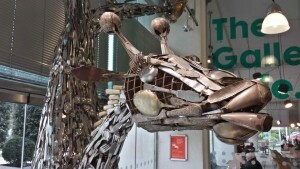 The tines of forks form long eyelashes on a giraffe-like head, and knife handles from a kind of bristle down its neck. 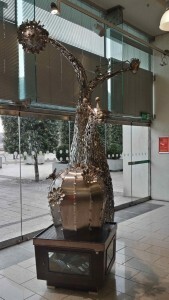 Repurposed cutlery – in the form of jewellery – can also be bought in the gallery shop, and worn as bangles and necklaces. 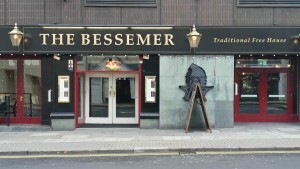 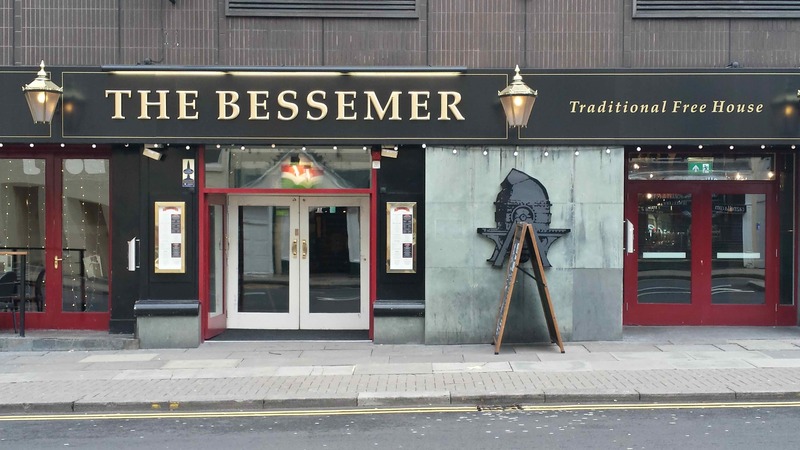 Pubs: A pub called the Bessemer features a large image of a Bessemer converter – a huge Victorian – era vessel for steelmaking that enabled a transition towards mass production. 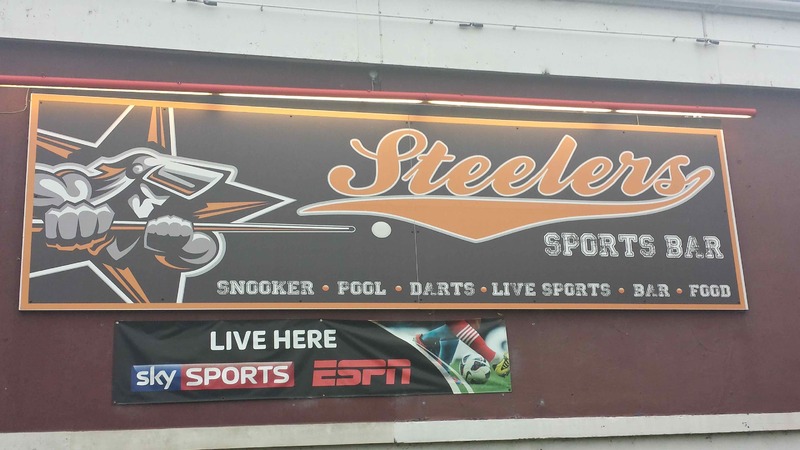 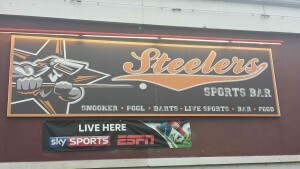 Another bar references steel in another way: it is named after the Sheffield Steelers, a local ice hockey team, and features a figure in a visor and gloves who, in the poise of one stoking a furnace, is instead wiedling a pool cue. 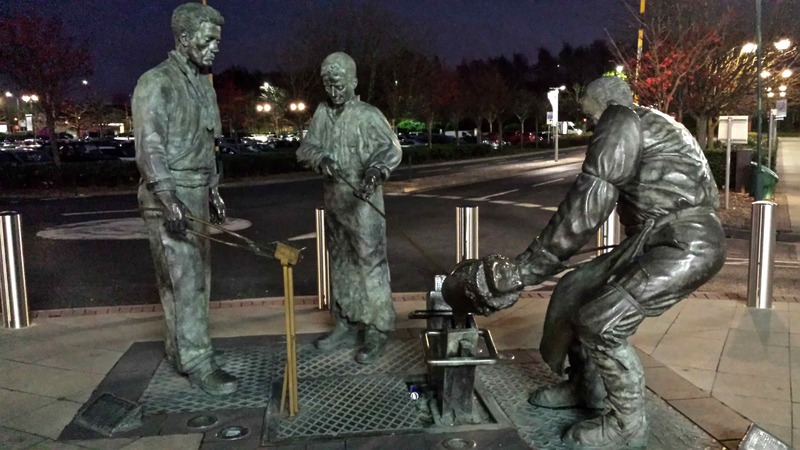 The intertwining of leisure and industry is understandable, as one would have formed the counterpoint to the other, but it is poignant that these names persist as a testament to industry that now employs only a fraction of the workforce that it once did. 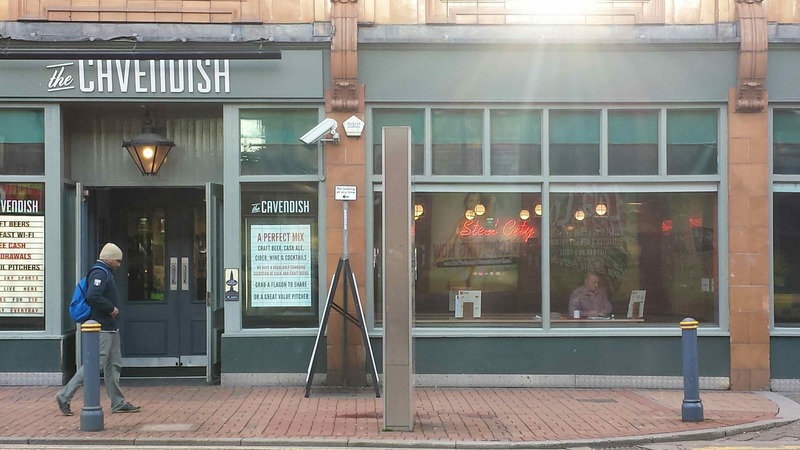 Another pub features a flourescent display of ‘Steel City’ – using the nickname for Sheffield to form a kitschy backdrop for a student bar. 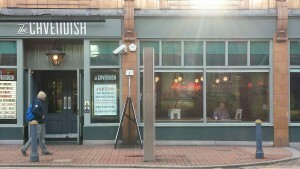 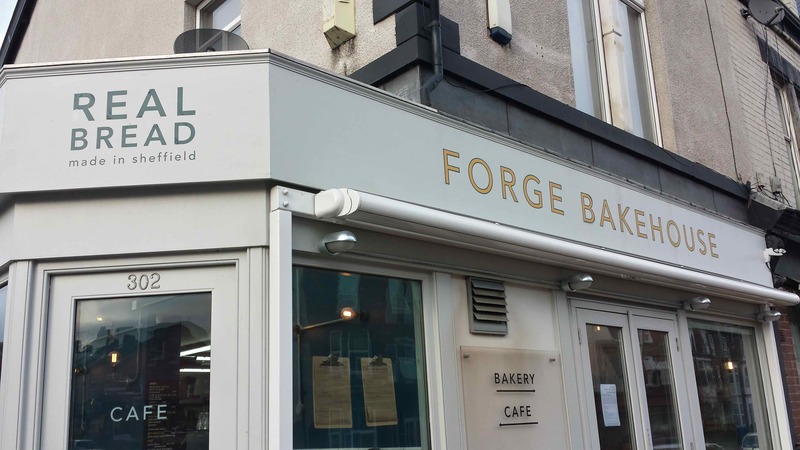 Food: Here, we see further examples of a connection made between Sheffield’s history and businesses that are quite far removed from heavy industry. 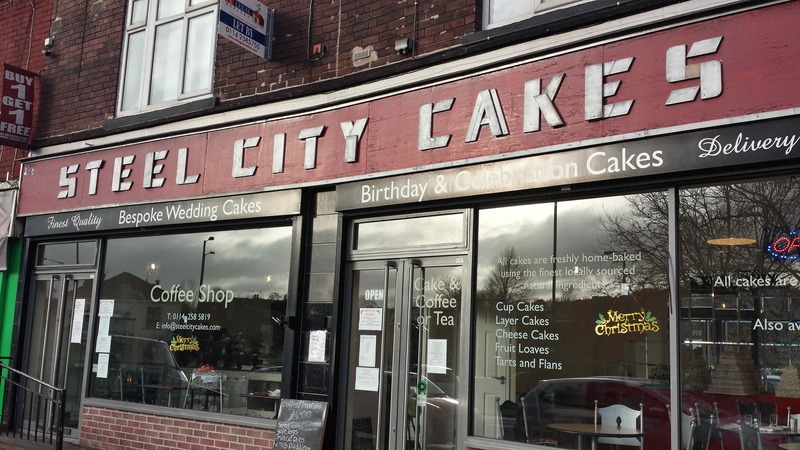 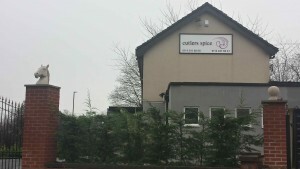 A cake shop again features the ‘Steel City’ nickname, and a curry house creates a curious juxtaposition between the concepts of cutlers and spice. 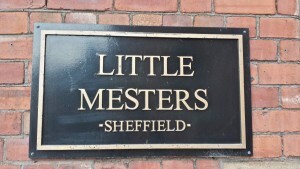 The Little Mesters restaurant at Kelham Island Industrial Museum at least has a connection to steelworking by virtue of its location, and features displays of cutlery and vintage photographs of factories. 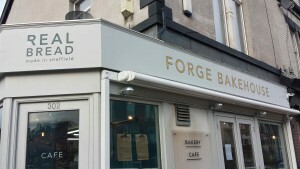 But it is the Forge Bakehouse that I find most interesting here, as it marries the idea of the forge (a loosely similar process to baking, in that both involve production from raw materials using ovens and specialist skills) with the concept of authenticity. Their claim to sell ‘Real Bread Made in Sheffield’ references similar themes mentioned by Our Cow Molly, in that location-specific production connotes not only localness (implying freshness, and an alternative to inferior mass-produced goods), but also emphasises the importance of being Made in Sheffield, as a locus of quality and heritage. This utilisation and extension of the concept of being ‘Made in Sheffield’ is clearly a theme which will be very important in my larger ethnography. 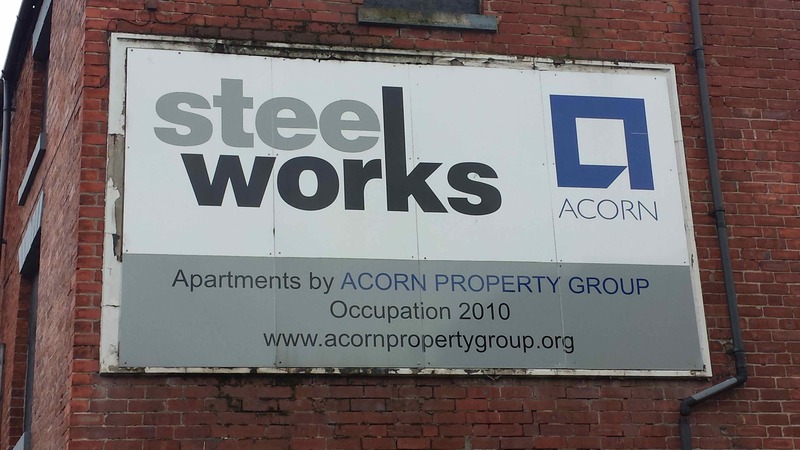 These are not all of the examples that I recorded during that one day, but they begin to show a pattern emerging, in which local identities are still being created and understood in relation to Sheffield’s industrial past. Taking photographs enabled me to not only create a visual record of these names and themes, but also prompted me to physically engage with the city in a new way, by actively being attentive to references that otherwise have merely blended into a much larger backdrop. 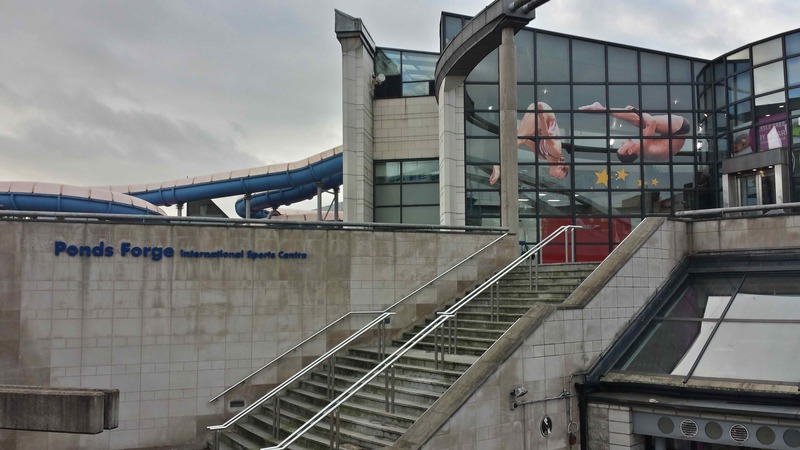 This purpose to my photography taking is important, as I believe that the case studies I am looking at all demonstrate a particular objective achieved through images. 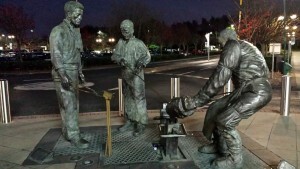 Photographs are rarely taken and shown for their own sake: instead they are used tell stories, bear witness, illuminate and confront. Therefore rather than wander round and take any photographs of Sheffield, I am deliberately choosing a theme, photographing accordingly, and then assessing how photography and social media enables me to explore this. 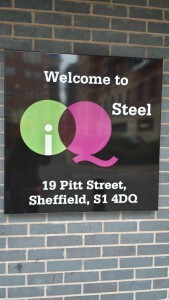 Next week I shall catalogue something more specific, namely the importance of being ‘Made in Sheffield’.